The following blog is a taster of our session at the Chartered Association of Business Schools’ Learning, Teaching & Student Experience conference on 26th April at 10:30. We would also love to hear about your experiences and have set up a quick online survey. Please go to respond.cc and enter ‘980939’. Society is pervaded by technology and Higher Education is no different. Innovations such as virtual learning environments (VLEs), email, ‘clickers’ and computer projection have facilitated the development of large group teaching. However, the benefits that technology has had in terms of student experience are not nearly so clear cut. How best then can we make use of technology in the classroom? 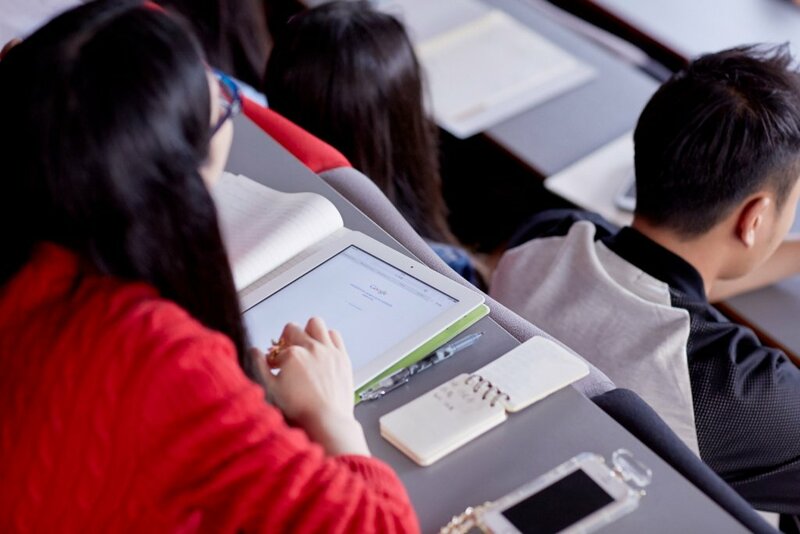 The lecture itself is a personal, social experience where the lecturer’s style impacts on how it is best for them to communicate the information and what level of technology is appropriate. A confident orator who stalks the room would make the lecture come alive and have little need for PowerPoint to convey the material (depending on the audience). Forcing that same lecturer to produce slides and stand in front of a computer would produce very different results. The technology needs to be fit for the lecturer and this may mean keeping the technology as simple as possible. Once the technology has been identified that you feel works best with your style and the required outcomes then the next big step is to design the sessions and to integrate the technology. Technology needs to be used thoughtfully and embedded consistently in order to be beneficial. Often the process of design and planning is more valuable than the technology itself as it forces reflection on what we want out of sessions. More than a quick demonstration of the technology will be required. The aims and the benefits of the technology need to be outlined to the students and then they need to use it as soon as possible as then they will see for themselves why it is useful and worth investing their time on. Technology is simple and free/cheap also keeps adoption costs low. They will also need constant reminding of the usefulness, so set tasks and milestones to be achieved at certain deadlines. A series of seminars could be used alongside the lectures to embed the technology, so that each week students need to use the technology. Start by using the simpler aspects of the technology and then build more complicated uses into later sessions. Often a limit of the technology can force positive results. The free version of the NearPod app has a limit to the amount of users at one time, but putting students in teams can overcome the limit option and also produce other benefits. The aim of using technology is to enhance teaching and to facilitate learning, and that can often mean giving the learner the opportunity to engage with technology that they are comfortable with. If students are expected to collaborate then forcing that interaction through the VLE without good reason can be harmful. Many students use social networking, such as WhatsApp and Facebook, to organise learning. If they are expected to produce something where technology would be useful then allow them the freedom to choose (if outcomes allow). Technology needs to be fit for purpose and often the students can do the job of identifying the best tools for the job. Confidence in the technology is a major issue for lecturers. If you have any doubts or worries that it can impact on communications with students, keeping the technology simple will undoubtedly help, but even then testing is of utmost importance. Use colleagues to help test the technology and ask their opinion on how it went as they will often be able to give you some useful feedback. It is important to be comfortable with the system as it will iron out any flaws or identify any areas where you may need a backup plan and make sure you do have that plan. Dr. Michael Reynolds and Dr. Emilee Simmons will be presenting a workshop on blended learning titled 'Embedding Technology in the Classroom: a meta-workshop' at the Learning, Teaching & Student Experience conference on 26th April.